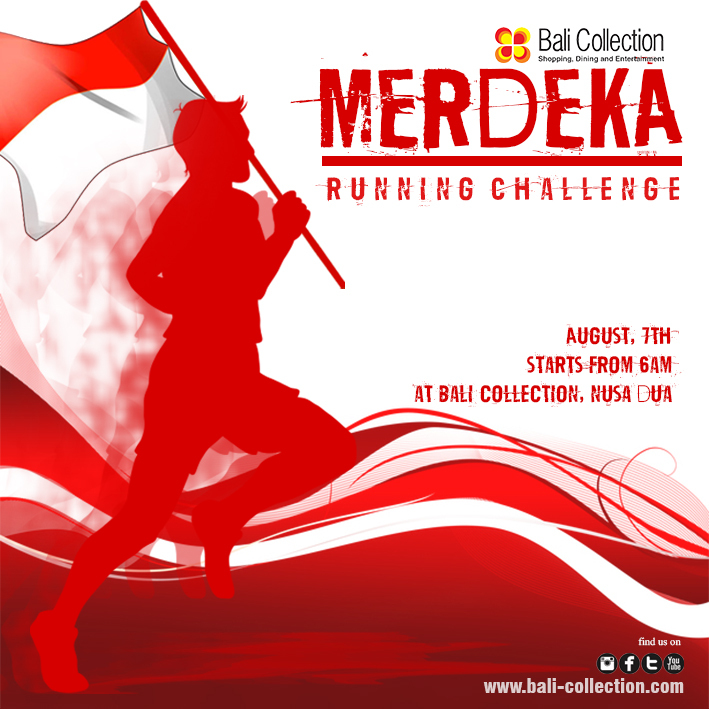 Come join MERDEKA RUNNING CHALLENGE to celebrate Indonesian Independence Day at Bali Collection Nusa Dua. This Sunday, August 7th, starts from 6am. FREE registration, and get a chance to win a bunch of prizes: One night stay at luxury hotel, dining vouchers, and many more.